To say that coffee is popular is a spectacular understatement. Approximately 83% of all adults in the U.S. drink coffee and most have more than one cup each day. As a result of the drink’s proliferation, there has been a long-standing interest in assessing its potential health benefits or risks to the human body. Unfortunately, the results have not always been clear and contradictory studies abound. There is heavily conflicted research regarding heart disease. Some reports say it can reduce the risk of various forms of cardiovascular disease; others say it can help only if you have five to six cups per day and just as many say that five to six cups increases your risk of heart disease instead. There are also a number of studies that just end up being inconclusive. The problem is that there are an extremely large number of different ways to examine the effects of coffee on the human body. Some studies look at caffeine alone, others look at certain chemicals, some are animal tests, others are surveys, and some measure effects over time in people. To give a sense of just how varied results can be, consider a 2009 meta-analysis (which is basically a study of other studies) that looked at 21 different studies investigating a link between coffee and heart disease. Of the studies, eleven were from the U.S., three from Sweden, two from Norway, two from Finland, two from Scotland, and one from Denmark. Combined, the studies had over 407,806 participants and subjects were monitored over an average of twelve years. 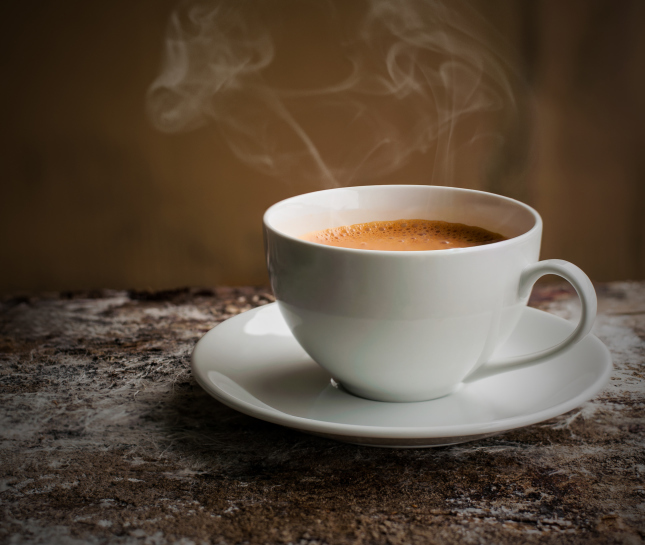 The results were mixed, with some studies showing positive correlations, some showing negative correlations, and others showing inconsistent connections at varying levels of coffee intake. The meta-analysis’ conclusion was that there was therefore no overall statistical correlation between coffee and heart disease, either for reducing or increasing the risk. Other studies performed since 2009 have shown similarly mixed findings. What all of this means for a moderate coffee drinker who consumes two to three cups per day is actually very little. According to the available literature, the most reasonable assumption to draw is that coffee either does not affect your risk of heart disease in a statistically-meaningful way, or if a connection does exist, then it is very subtle and should not be at the forefront of ways to reduce your risk of heart disease. The research on strokes and coffee is more consistent than that of heart disease, but still not the most reliable. Generally speaking, the risk of suffering a stroke has been found to be reduced in cases where an individual drank over four cups of coffee a day. Depending on the study consulted, this manifests as anywhere from a 12% reduction after four cups to a 23% reduction when drinking more than six. One U.K. study noted that a similar, but stronger association was found if the drinkers were former or past smokers. Unlike when looking at heart disease, the inconsistencies of the stroke-coffee connection rest on the strength of the reduction and how many cups are needed to achieve the effect. A key element is also the type of stroke. Some studies found that coffee could reduce the chance of ischemic (blood clot) strokes, but not hemorrhagic strokes (bleeding in the brain). Some found that certain types of hemorrhagic strokes could have their risk reduced, but not subarachnoid bleeds (bleeding through the blood-brain barrier). One 2010 study found that for light coffee drinkers, the risk of suffering a stroke actually doubled within the first hour of consumption, but quickly returned to normal. A 2011 meta-analysis looked at all of this data and concluded that coffee does indeed reduce the risk of strokes. However, the strength of the reduction is non-linearly connected to the number of cups consumed (meaning it does not follow a uniform progression) and is weakly present among moderate-to-low drinkers. The research on coffee and cholesterol levels is actually fairly straightforward. Coffee can increase your cholesterol levels, but only if it’s unfiltered. Since, in the U.S. at least, drip or filtered coffee is considered “the norm,” this mostly applies to cups of French press. The two main culprits are cafestol and kahweol, a pair of molecular compounds. If the liver is exposed to one of these, it triggers proteins that affect how well it can regulate cholesterol levels and lead to an increase. A single cup of unfiltered French press coffee has enough cafestol and kahweol to increase blood cholesterol levels by around two percent. Not the greatest increase, but one that is easy to cut out. Note: filtered coffee could still contain some cholesterol if non-skim milk or cream is used. Caffeine is a stimulant. It boosts the activity of the nervous system and can cause blood vessels to constrict, narrowing the available passageway. This in turn means the heart must work harder to provide adequate blood flow, resulting in higher blood pressure. However, there is a difference between causing a spike in blood pressure and causing chronically high blood pressure—what we know as hypertension. Coffee, and any form of caffeine, causes a rather large but very temporary spike in a person’s blood pressure. The effect is amplified if taken shortly before periods of physical exertion. These effects are only felt by those who either already have hypertension or are light coffee drinkers. People who are moderate or heavy coffee drinkers have become partially desensitized to some of caffeine’s effects and don’t show the same blood pressure increase. In other words, avoid coffee if you are already hypertensive, about to get your blood pressure taken, or are going to be hitting the gym soon. Otherwise, its fine as far as your blood pressure is concerned. It either doesn’t cause heart disease or gives a non-zero risk reduction. Chances of a reduction are higher if you’re a woman. It probably reduces the risk of some forms of stroke, especially if you’re a smoker. Unfiltered coffee can raise your cholesterol. It can raise your blood pressure, but doesn’t affect your risk of developing hypertension. Whether coffee is the healthiest pick-me-up available is plenty open for debate. Unless you are hypertensive, though, the research says that coffee is at the very least not unhealthy for you. Sheps, S.G., “How does caffeine affect blood pressure?” Mayo Clinic web site, August 5, 2014; http://www.mayoclinic.org/diseases-conditions/high-blood-pressure/expert-answers/blood-pressure/faq-20058543. “Caffeine’s Effect on Blood Pressure,” WebMD web site, May 17, 2002; http://www.webmd.com/hypertension-high-blood-pressure/news/20020517/caffeines-effect-on-blood-pressure. Choi, Y., “Coffee Consumption and Coronary Artery Calcium in Young and Middle-aged Asymptomatic Adults,” Heart, 2015, 686-91. “Coffee and Stroke,” Coffee & Health web site; http://coffeeandhealth.org/topic-overview/coffee-and-stroke/, last accessed September 10, 2015. “Coffee Can ‘cut Risks of Heart Attack’ Claims,” NHS Choices web site, March 3, 2015; http://www.nhs.uk/news/2015/03March/Pages/Coffee-can-cut-risks-of-heart-attack-claims.aspx. Mann, D., “Temporary Stroke Risk After Drinking Coffee?” WebMD web site, November 1, 2010; http://www.webmd.com/stroke/news/20101101/temporary-stroke-risk-after-drinking-coffee. Mesas, A. E., et al., “The Effect Of Coffee On Blood Pressure And Cardiovascular Disease In Hypertensive Individuals: A Systematic Review And Meta-analysis,” American Journal of Clinical Nutrition, 2011, 1113-126, doi:10.3945/ajcn.111.016667. Moll, J., “Can Coffee Raise Cholesterol Levels?” About.com, last updated May 26, 2015; http://cholesterol.about.com/od/cholesterolloweringfoods/a/coffee.htm, last accessed September 10, 2015. “Overview – Coffee & Health,” Coffee & Health web site; http://coffeeandhealth.org/topic-overview/cardiovascular-2/, last accessed September 10, 2015.